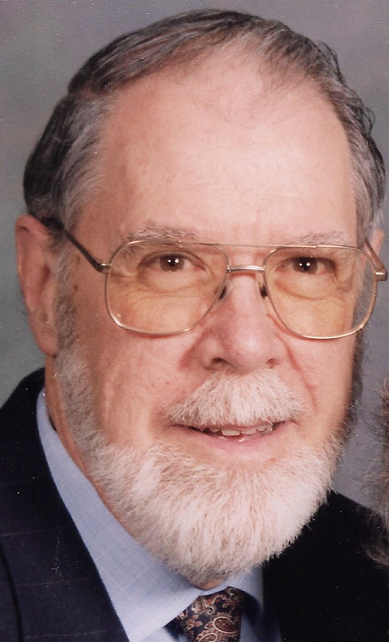 John A. Ringrose, 85 of New Britain, passed away Wednesday, June 13,2018, at St. Mary Home. John was born and raised in New Britain, to the late James and Bertha (McBriarty) Ringrose. In his work life, John was an Industrial Arts teacher for more than thirty years at Roosevelt Jr. High in New Britain. He was very active in the Technology Educators Leadership program and received the Industrial Arts Teacher of the Year award. For decades he was also very involved in St. Joseph’s Church here in New Britain as a trustee of St. Joe’s, and a Eucharistic Minister. John is a recipient of the St. Joseph Metal of Appreciation through the archdiocese of Hartford. In his free time, John enjoyed time with his loving wife of thirty-seven years, Nancy (Beaulieu) Ringrose, gardening, hobby trains and travel, including by train, throughout the country. They were both a part of the Prime Y-ers group at the YMCA in New Britain. Besides his wife, Nancy, John leaves behind a sister Eunice Rees of Shelton, CT; sister-in-law Sandra Cahill and her husband Michael of Suffield, CT; nephews David, Douglas, Gregory and Johnathon Rees and Daniel Cahill; niece Susan Vanghele and many other loving close friends and family members. Friends and family may call at the Luddy-Peterson Funeral Home, 205 S. Main St., New Britain on Saturday, June 16, 2018 from 10-10:45AM followed by a Mass of Christian Burial at 11AM at St. Joseph Church, 195 S. Main St., New Britain. Burial to follow, at St Mary Cemetery, 1141 Stanley St. In lieu of flowers, memorial donations may be made to St. Joseph Church of the Divine Providence Parish, New Britain CT.